Do you want to reconnect and have fun with your daughter in a calm space? Do you want to create some healthy self-care rituals together to take home with you? An annual mother-daughter retreat designed specifically for Mums and their teen daughters (aged 12ish-19ish). It’s the perfect blend of connection and laughter, self-development, healthy living tips and fun activities. 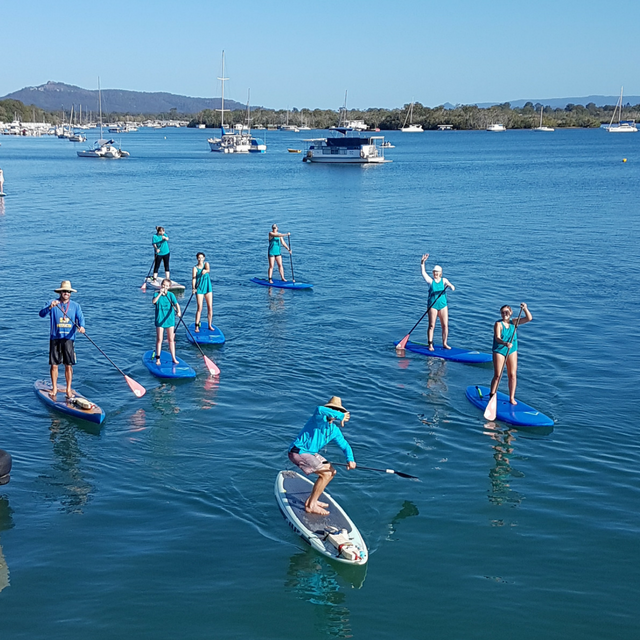 Think stand up paddle boarding on the water, creativity, Noosa walks & yoga. We’re all about finding ways to integrate playful fitness and creativity into your life. Note: you don’t HAVE to come out on the water if you don’t want to! Think fresh, organic, locally-sourced, plant-based food. The type of meals that make us all swoon on Instagram! That’s what our caterers specialise in. Above all, this retreat is about connection. Reconnecting with yourself, your daughter, mother nature and a group of like-minded women. This all-inclusive retreat is $2,899 (+GST for Australian residents) for each pair. It’s limited to just 8 mother-daughter pairs to ensure it’s personalised and intimate. All we need to secure the booking is a $500 deposit (+GST for Australian residents). Click the button below to fill in your booking form and pay your deposit. 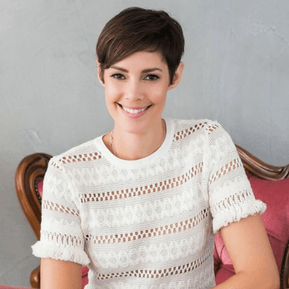 Over the past 11 years Kim has co-written 5 international best-selling books with her bestie – Fleur Whelligan – their most successful and popular one ‘Like Chocolate For Women’. In our opinion, Kim is a pioneer in the self-love movement, teaching women everywhere about the importance of quick daily rituals to bring more self-care into their lives. She’s also the mother of two teens so we couldn’t think of anyone better to team up with for this retreat. 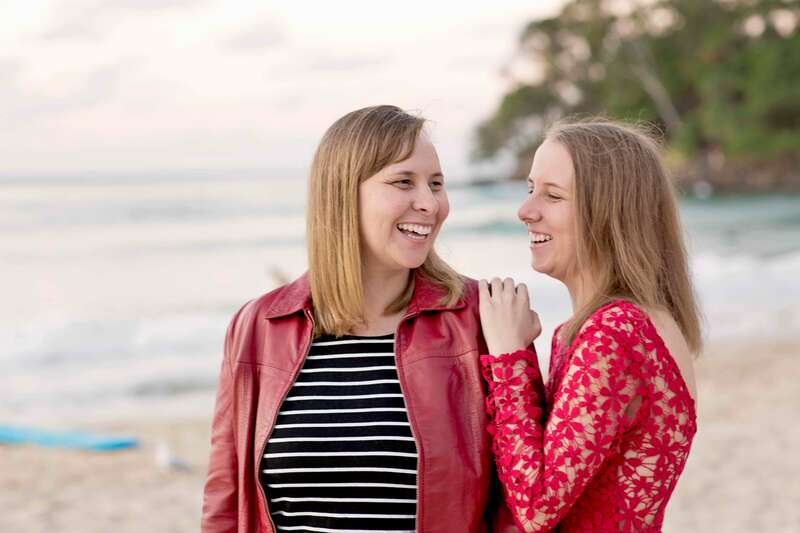 Kim’s energy and passion for life is infectious – she’s the perfect balance to Amanda’s gentle energy! 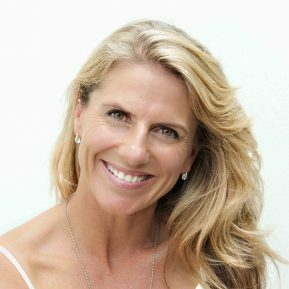 Amanda Rootsey is a certified life coach and youth mentor, cancer-survivor, former international model, inspiring speaker and gentle guide. She has been teaching and presenting to teen girls since she was a teen herself and has helped hundreds of young girls through her holistic training school, Shine From Within. 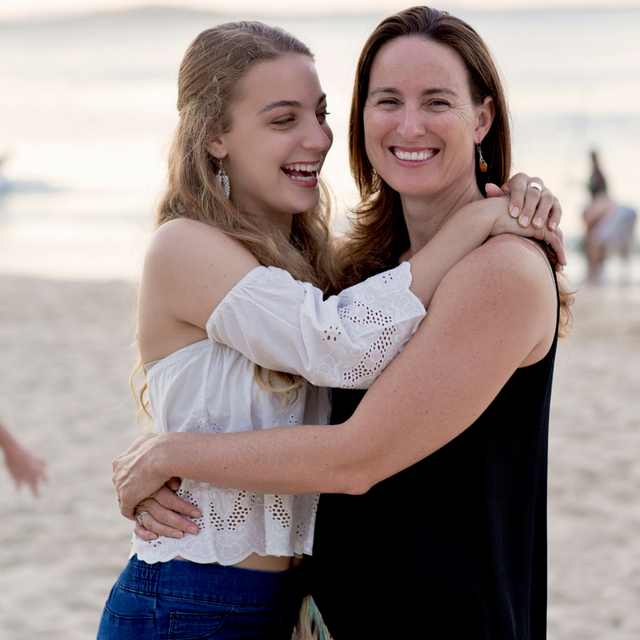 Amanda has a book for teen girls on the way with publishing giant, Hay House, and is determined to reach as many teen girls as possible with her simple message; that they are perfect just as they are and have everything they need to truly shine from within. 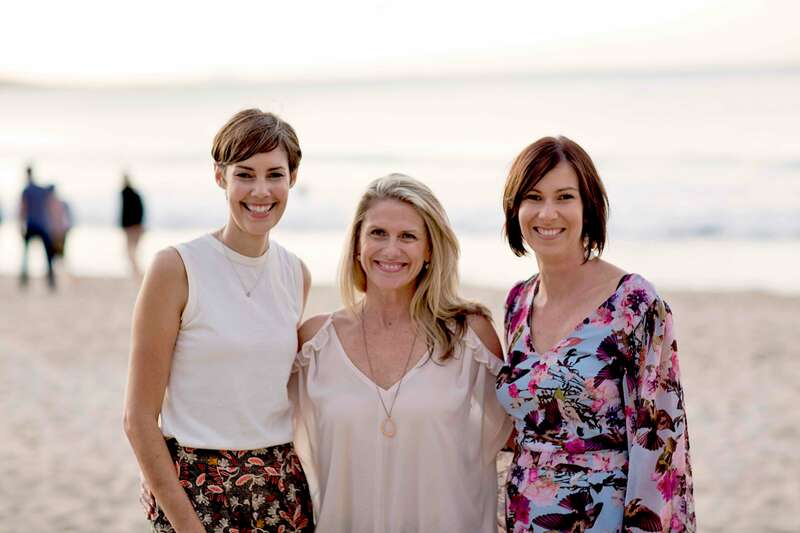 Kim and Amanda have run sold-out Mother-Daughter events in the past and cannot wait to completely immerse themselves in a weekend away with you and your daughter! You want to press pause during 2019 to refresh, feeling supported to make healthy lifestyle changes. You want to celebrate your relationship with your daughter/Mum/niece/Aunty/Step-daughter in style. You want to renew and strengthen the bond you have with your daughter. 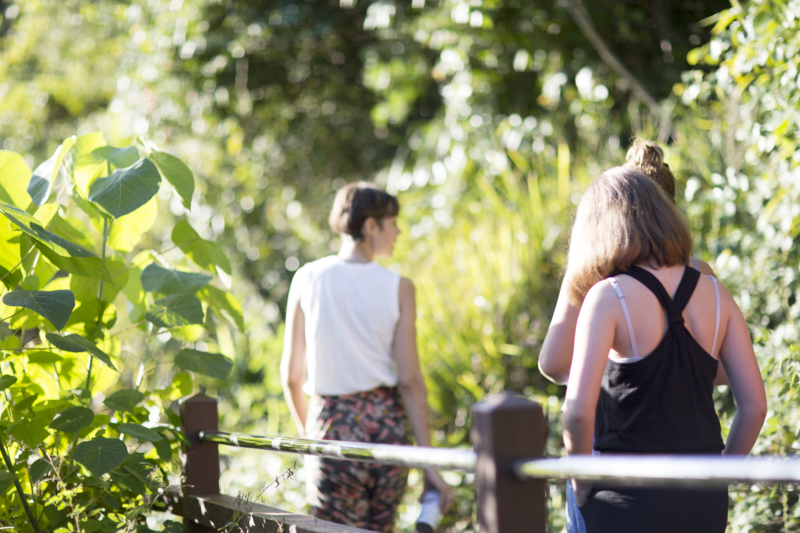 You want to meet other Mums of teen girls outside of your usual community in a safe environment. You want to move your body and have fun doing it. You want to step away from the busyness of life and recharge. You want something that’s going to be really fun for your daughter too so she comes home raving about it. You want to enjoy one of the most beautiful places in the world – Noosa! You want to do it all in luxury – 5 star accommodation right in the middle of Noosa Heads. You want to feel taken care of and supported – everything will be organised for you – just turn up! You want a ‘bootcamp’ style fitness weekend – there will be no whistles or yelling at this retreat! 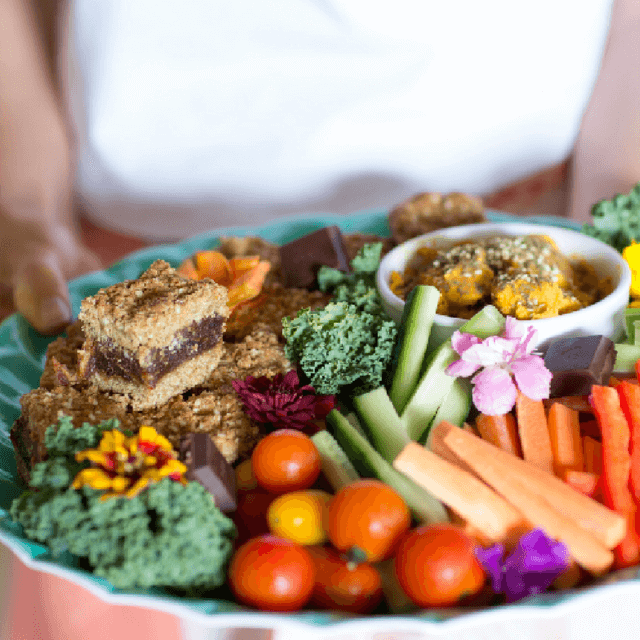 You want someone to do the work for you – this retreat will give you the tools to implement healthy changes at home (but we can’t do it for you). You want to be left alone to do your own thing – while there will be limited free time throughout the weekend, this is a scheduled retreat with group activities planned. You want a cheap getaway – this retreat is high-end so that you can really focus on enjoying the unique experiences together and creating life-long memories. You’re not willing to try something new – this retreat will open up discussions and may introduce you to some activities you haven’t tried before. You don’t enjoy a bit of pampering, being out in nature or spending time with others. You are a negative Nancy and would prefer to stay that way – this retreat will be full of inspiration and positivity! “I thought it was a wonderful experience for everyone involved and certainly created life long memories for Ruby and myself. It was invaluable to carve out that time together for us as it always seems so illusive, which it shouldn’t be. This all-inclusive retreat is $2,899 (+GST for Australian residents) for each pair. It’s limited to just 8 mother-daughter pairs to ensure it’s personalised and intimate. All we need to secure the booking is a $500 deposit. As Kim said in the video, think of it as your ‘line in the sand’ to make this commitment to a beautiful experience away with your daughter and a lasting memory. Click the button below to fill in your booking form and pay your deposit of AUD$500 (+ GST for Australian residents). Click the button below to fill in your booking form and pay your deposit of AUD$500 +GST for Australian residents. Q: It seems expensive, why is that? A: We’ve endeavoured to make this retreat as luxurious as possible. This includes massage, 5-star accommodation, all meals and so much more. We created this in response to what we were asked for. We may run a camping style retreat in future which will of course be priced accordingly. Q: What accommodation will we receive? A: Each mother-daughter pair will be in their own 1 bedroom, twin share apartment. Q: Should I book travel arrangements straight after I pay the deposit? A: No. We need a minimum number of bookings for the retreat to go ahead so please wait until you hear from us in March 2018 before booking any flights or other travel arrangements. More about this on the booking form page. Q: What time do we need to arrive on the Friday? A: Anytime Friday afternoon. We’ll be in touch closer to the date to give you a specific booking time for your massage on arrival (and we can work in with your travel arrangements for this). We do have a welcome event on the Friday evening so it would be great if you could get there by around 6pm at the latest (if you’re arriving a little later though, that’s OK too!). Q: What time do we leave on the Monday? A: Check-out time will be 10am so if you need to scoot off late Sunday night or first thing Monday morning, that’s OK. You’re welcome to stay for a bit on Monday morning though for a final breakfast together. Q: Where will we spend most of our time at the retreat? A: While each pair will have their own room, we’ll spend most of our time together in a beautiful big, comfortable space. This is where we’ll spend our sessions, group discussions and activities. We’ll also spend time outdoors soaking up the sunshine and moving our beautiful bodies. Q: What if we live locally? Can we still attend and get a discount? A: Yes you can still attend but having run this retreat we now know that the benefit is in being there together for everything and the schedule runs from about 7am – 10pm each night. It will also disrupt the atmosphere to go home to a busy family each night rather than fall asleep chatting about the day with your daughter. Please email us on info@shinefromwithin.com.au to discuss further. Q: What kind of food will be served? A: We’ll be able to accommodate any dietary requirements (there’s a spot for you to share yours on the booking form when you click on ‘Book Now!!’). Catering for the weekend will be a combination of dining in the resort restaurant such as a gourmet buffet breakfast and outside catering by local organic suppliers. We pride ourselves on offering vegan, gluten-free, and any other allergy-free food to make this a fun, healthy, stress-free experience for you. Q: I’m worried my daughter won’t like it. Any advice? 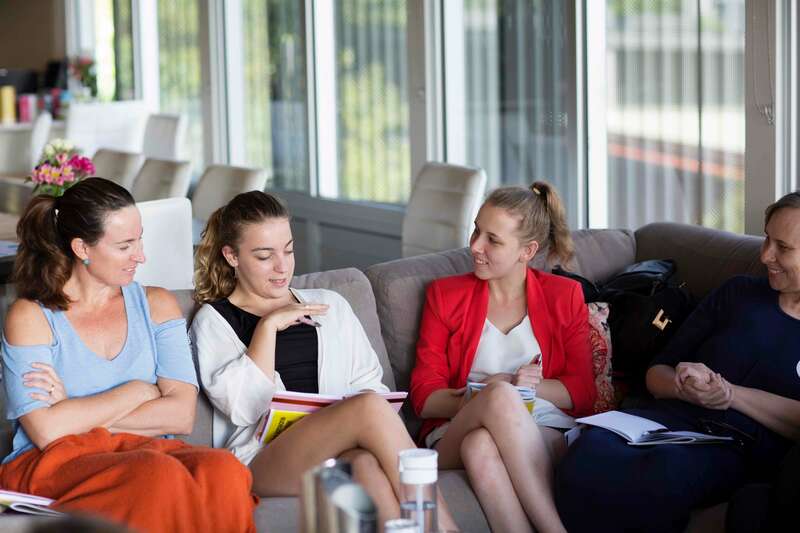 A: In our experience, it’s always the parents who can see the value in it straight away and the girls are usually a little apprehensive (we have this reaction to most of our programs!). As soon as they arrive and start to get to know each other though, they quickly let go of their fears and embrace the experience. Our advice would be to book in anyway if you believe you would both get something out of the weekend. Q: What exactly will we be doing? Arrival in the afternoon on the Friday to settle in and go for a massage or treatment at the spa. We’ll have a welcome event that evening and officially start the retreat. Early Saturday morning we’ll rise for some exercise in beautiful Noosa, followed by a delicious breakfast. 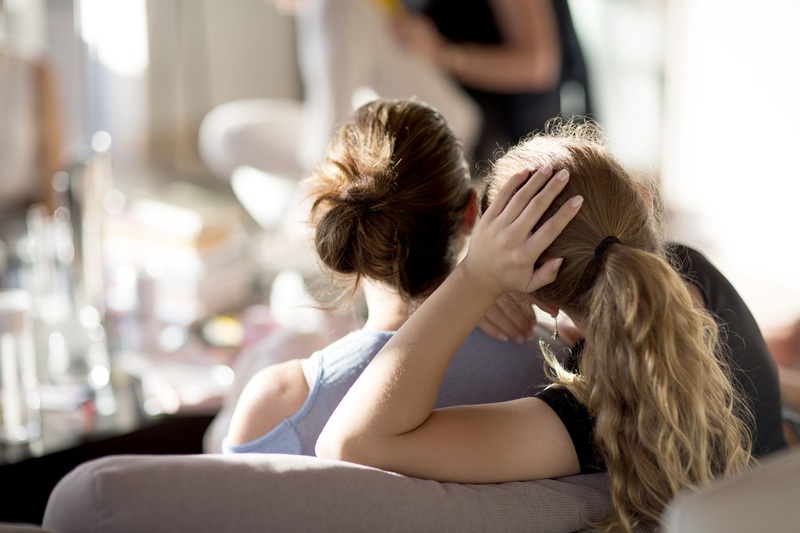 The rest of the day will be devoted to activities, as a whole group, in groups of just teens and just Mums and also activities together as a mother-daughter pair. This retreat is all about connection so we’ll learn a bit more about ourselves and communication. Group discussions will be a big part of this weekend so that everyone feels heard, supported and full of love. We’ll also be setting you up with some healthy rituals to take home with you. There’ll be a beautiful dinner on the water that evening. Q: I still have questions…. Still have questions? Please get in touch with us by sending us a direct message here or pick a suitable time for Amanda to give you a call here. Alternatively, try emailing us directly on info@shinefromwithin.com.au.